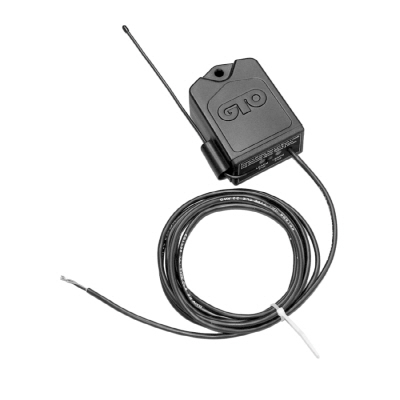 The Single Button Transmitter comes standard with GTO/PRO and Mighty Mule E-Z Gate Opener systems. The Keychain Mini Transmitter is a miniature version of the Single Button Transmitter, and like its name suggests, hangs conveniently from your keychain. The Dual and Triple Button Transmitters will operate two or three gate openers and/or garage door openers (see Garage Door Receiver). All GTO Entry Transmitters have adjustable code settings and each transmitter comes with battery included. The GTO Residential Wireless Entry Intercom/Keypad is ideal for wireless applications. This Mulit base Unit accepts up to 4 base stations. It has superior range with a crystal clear two way communication up to 500 feet wireless. Need an inexpensive keypad? Look no further than the Advantage DKE series. All models feature 100, four digit user codes, a fully rogrammable personal master code, latch code and night light. Available with metal faceplate and keypad. Gooseneck Stand - Single mount powder coated gooseneck stand. Durable powder coated gooseneck stand for gate keypad or entry system. This heavy gauge steel design is built to last. This gooseneck stand is 42" inches tall. Gooseneck Stand - Double mount powder coated gooseneck stand. The Double Pedestal Gooseneck Stand feature heavy gauge steel construction with a durable black powder coated finish. It has keypad heights of 41 inches and 72 inches tall. Is an unlit doorbell button for remote entry or exit control. If you do not need to limit access to your property, the push button control can be installed outside of the gate to allow entry for guests without transmitters. 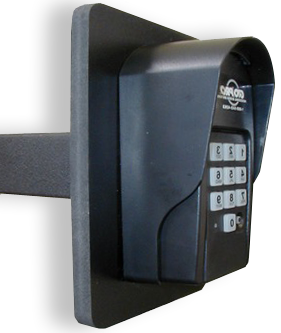 It can be installed on the inside of your gate to allow guests without transmitters to exit. If your home is within 1000' of your gate, you can install the push button in your house. The Push Button entry control wires directly into the control board using GTO low voltage wire. (not included). PLEASE NOTE: If you use the RB101 outside it has to be protected from the weather. 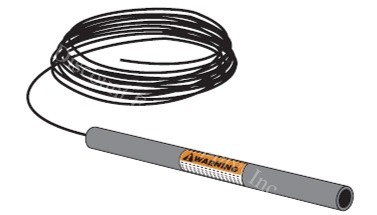 Retro reflective sensor, economical, 33 ft. range, with reflector, and mounting bracket. N/O or N/C output, 12/24 AC & DC. 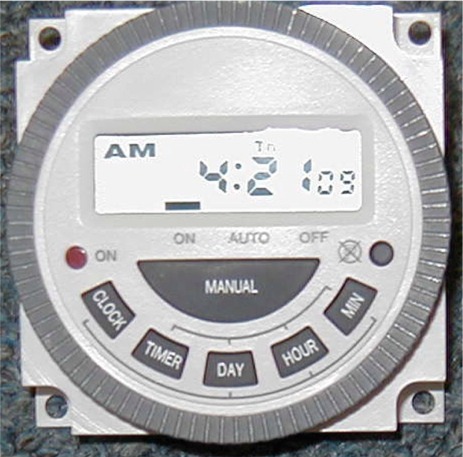 DC12v Seven Day Timer offers an Automatic Timer to enable an entry device or other accessory to work durring specific hours. Replacement GTO Reciever/Antenna with 10' cable. 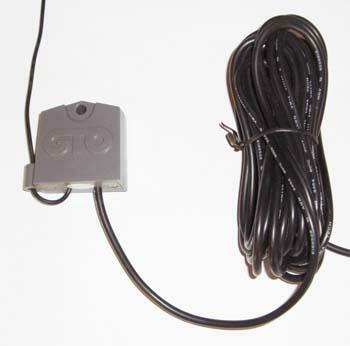 This replacement part is the standard receiver that comes with swing gate operators by GTO. Standard with DC swing operators. The Garage Door Receiver allows the use of one Entry Transmitter (see Dual or Triple Button Transmitters) to control both gate openers and garage door openers. The Garage Door Receiver is compatible with most garage door openers.